 University Charter Bus Company services college towns across the nation, making it easy to find transportation to collegiate sporting events of all types. We help groups from across the nation to the University of Alabama, Ohio State, the University of Tennessee, and more famed universities. Call us at 1-866-466-4414 to book your group’s transportation and support your favorite college team! 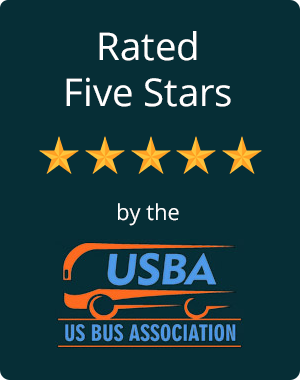 We work with bus providers in U.S. college towns to bring efficient, comfortable, and safe transportation to all groups of dedicated sports fans, no matter what team you support. Book a private minibus for your small band of fans, or rent a full-sized motor coach to transport larger groups into town for game day. Whichever you choose, we’ll make sure your group travels comfortably with premium amenities such as air conditioning, reclining seats, WiFi, televisions with DVD players, and other add-ons to make for an enjoyable trip. 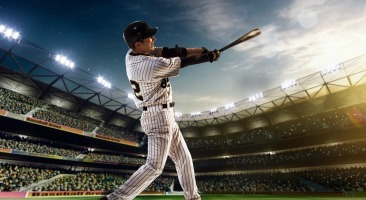 If you’re a coach in one of the towns we service, we’re also able to help book reliable transportation for your team to away games, off-site practices, and team-building activities. Trust us to find the best travel accommodation for every member of your team, with spacious luggage bays, extra legroom, and premium amenities all available for your choosing. Support your school's team this football season with a charter bus or minibus rental. 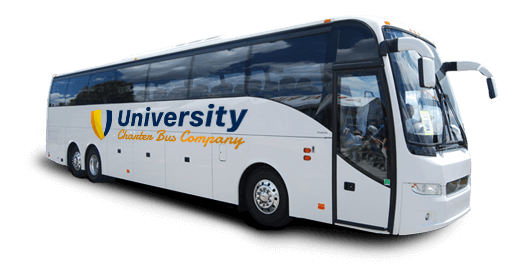 Your coaches, staff members, players, and fans will ride comfortably to away games and tournaments when you partner with University Charter Bus. Celebrate your big day in style! Charter a motorcoach that’s outfitted with amenities such as reclining seats, air conditioning, WiFi, TV monitors, and more to keep your guests entertained and comfortable on the way to your wedding. Book a fleet of charter buses or minibuses to shuttle attendees to and from corporate conferences, academic seminars, and networking events. We’ll help you choose the right transportation solutions for every occasion! Whether you’re traveling with fellow students, faculty members, or friends, we’ll provide you with reliable bus transportation that fits your needs. We service sororities, fraternities, sports clubs, academic associations, and many more groups on campus.